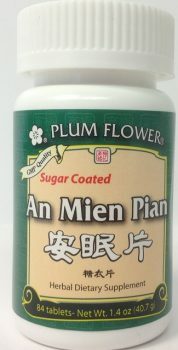 An Mien Pian | Wing Ming Herbs, Inc.
An Mien Pian, formerly known as “Peaceful Sleep”, is used to calm the spirit, nourish blood and tranquilize the mind. 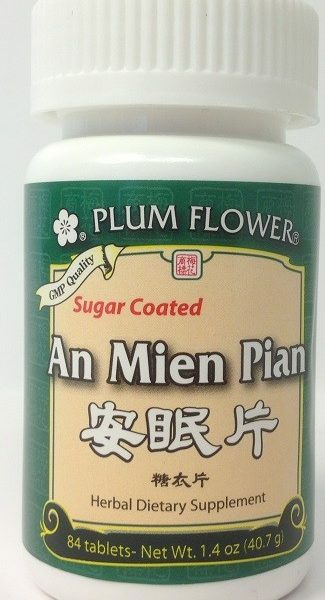 An Mien Pian is comprised of only all-natural herbal ingredients which act in concert to calm the body. Many doctors believe that stress, fatigue and mental restlessness can exacerbate and trigger a range of medical maladies. Relaxing the body and “getting a good night’s sleep” is restorative to the body and can be necessary to boost overall immunity. By calming the shen, An Mien Pian can help your mind relax and allow your body to get the rest it deserves. 3-4 tablets, 3 x day. 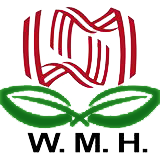 Ziziphus jujuba seed, Polygala tenuifolia root, Poria cocos fungus, Gardenia jasminoides fruit, Massa fermenta, Glycyrrhiza uralensis root, Sucrose, Talcum, Microcrystalline cellulose, Silicon dioxide, Magnesium stearate, Botanical wax. – Suan zao ren, Yuan zhi, Fu ling, Zhi zi, Shen qu, Gan cao, Zhe tang, Talcum, Microcrystalline cellulose, Silicon dioxide, Magnesium stearate, Botanical wax. Contraindicated during the early stages of acute infection or illness, such as cold or flu. Use with caution during pregnancy. Contains tree nuts &amp; wheat.